Check or update your voter registration online. Must be at least 16 years old, an Oregon resident and a citizen of the United States. Oregon driver’s license or state ID card issued by the Oregon Dept. of Motor Vehicles is required. Download and print the Oregon Voter Registration Card. Are you going to be away from your residence address during the election and need your ballot mailed to another address? If so, please download fill out an absentee ballot request form here and mail or fax that signed form to us. 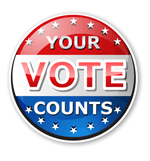 Special voting circumstances such as military and overseas voters, homeless voters and voters with disabilities. To cancel your voter registration in Jackson County, please email, fax, or mail us a signed Voter Cancellation Form.